You haven’t done anything this crazy, I can all but assure you. 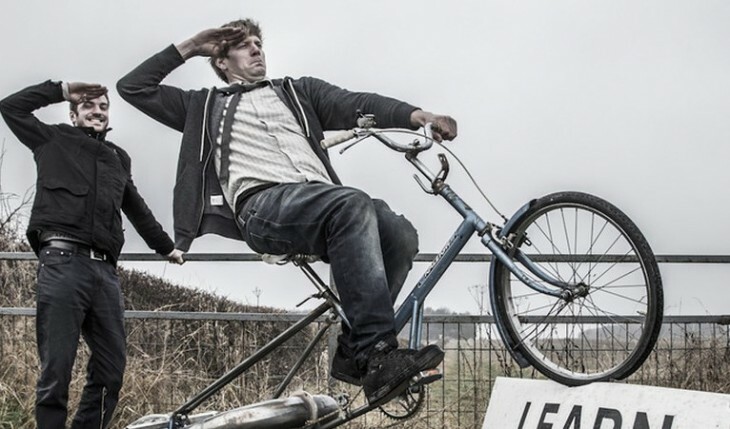 For fun, it would appear, and the adulation of YouTube viewers, Colin Furze built a jet bike. Or, it’s a bicycle, with a decidedly homebrew-esque jet propulsion system strapped to the back. Strapped might be generous. Perhaps ‘tacked’ would be more apt. It’s just as bonkers as you will expect. But it goes, and damn fast. The contraption can hit 50 miles per hour. The Washington Post calls Furze an inventor, and we agree.